It fell 3.41 million square kilometers (1.32 million square miles). AUSTRIA – A group of scientists recently warned that this year the Arctic melt could equal the record of 2012, when there was the biggest surface loss ever recorded. Polar physicists from Alfred Wegener presented two days ago his calculations to the assembly of the European Geosciences Union in Vienna. He explained that the forecasts are based on the evaluation of satellite data. 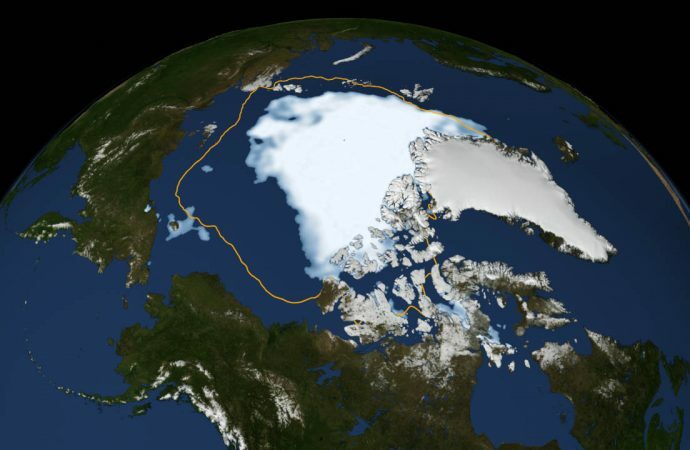 “One of the problems has been that in recent months has generated little ice” due to too warm weather, explained the physicist Marcel Nicolaus, who noted that already in 2015 the Arctic ice thickness was very small compared to other years . According to experts, this year the data are as daunting as those of 2012, when the area of Arctic sea ice shrank to a record low of 3.4 million square kilometers. September is the month when the Arctic ice recorded its lowest of the year, coinciding with the end of summer in the northern hemisphere, and its then the measurements on the existing ice surface are made. Nicolaus said that in addition, some data on the thickness of Arctic ice are even worse than in the spring of 2012. “In many regions of the Arctic, new ice formed only very slowly due to the particularly warm winter,” said the German scientist. “If you compare the map of ice thickness above the 2012 winter, we can see that the current conditions of ice are similar to those of the spring of 2012 and, in some places, the ice is even thinner,” he said. In addition to satellite data CyroSat, which measures the thickness of the ice, scientists have relied on data from buoys with instruments that measure temperature and air pressure. According to the scientist, in February there were times in the central Arctic where the temperature was up to 8 degrees Celsius higher than average. 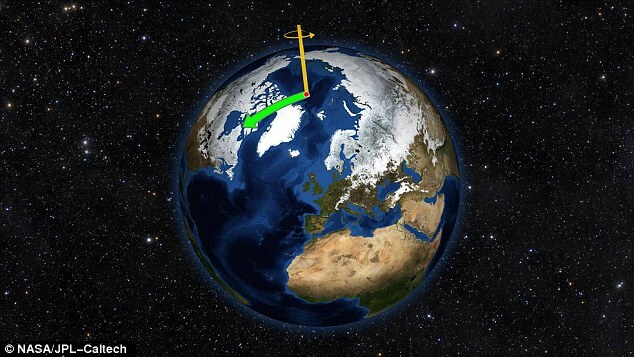 Global warming in the Arctic is much higher than in other regions of the planet known as “albedo effect”, which measures the reflection of sunlight on Earth. When the albedo has very high values as in areas of snow and ice- it gives a cooling effect, as it retains less energy on Earth; and conversely, low values of albedo cause a heating effect. Thus, the loss of ice has a multiplier effect of warming in the Arctic. Another study presented by Mikhail Dobrynin a Russian scientist at the University of Hamburg, said that by the end of the century the Arctic can have up to seven months a year without ice if emissions of greenhouse gases are not reduced. 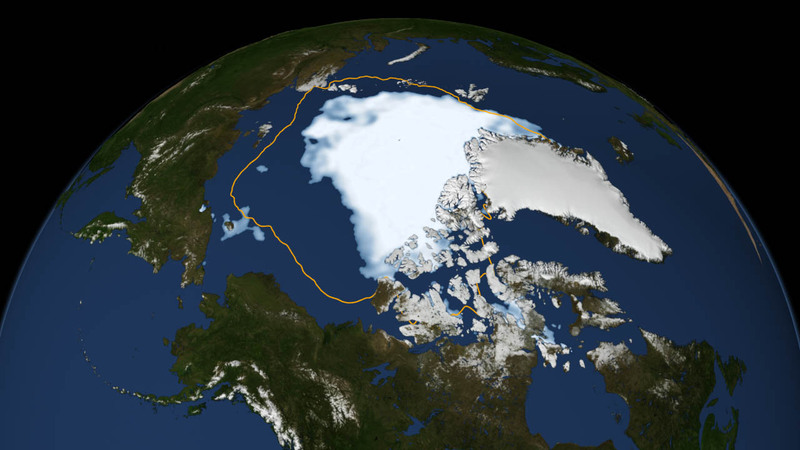 According Dobrin, melting Arctic will also generate a greater surge in the region, as ice sheets represent a natural barrier to the Atlantic waves. These more powerful waves also accelerate melting in the Arctic, since most virulent form hit the ice masses. It could also affect the permanent ice cap covering the ground in certain cold places on the planet, known as permafrost, and containing methane, a greenhouse gas. “In addition to global warming, this could accelerate the melting with the risk of releasing additional emissions of greenhouse gases from the permafrost,” said Dobrynin.